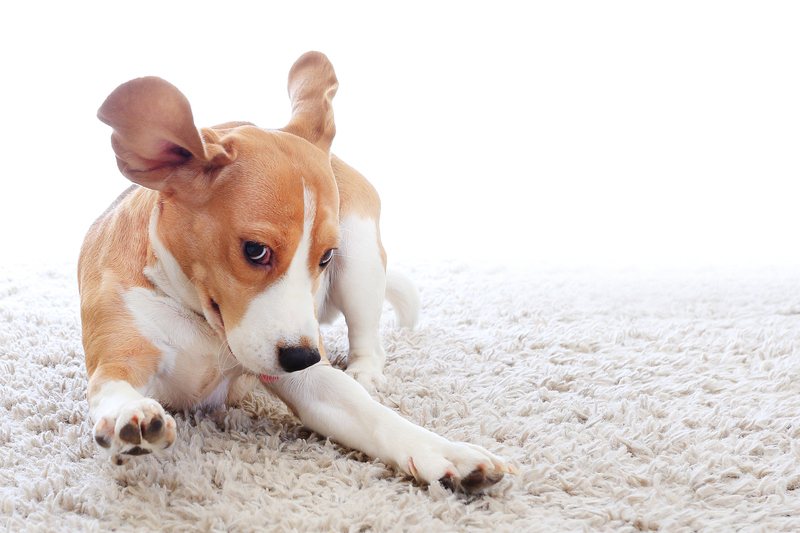 Funny dog on carpet isolated on white background. Crazy beagle close-up. Jumping dog over white backdrop.